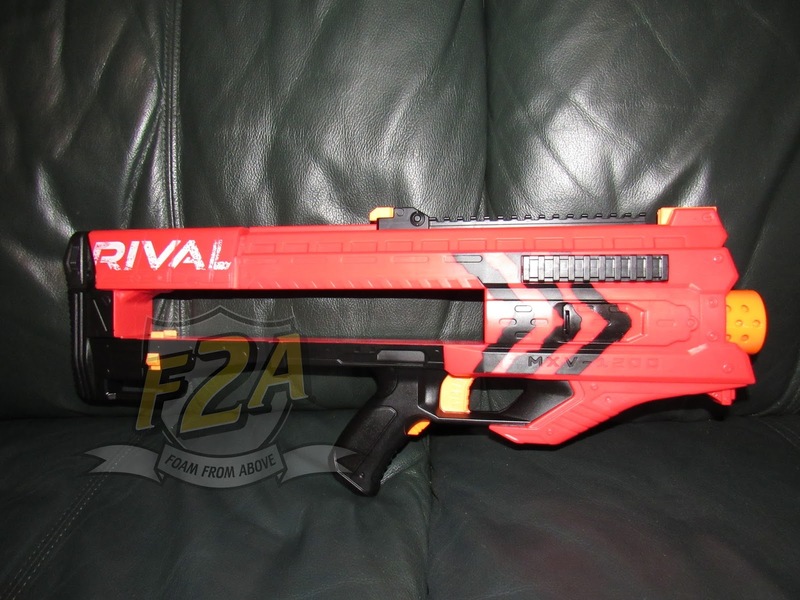 Back in February at Toy Fair, I checked out the Nerf Rival Zeus blaster in prototype form! Thanks to Nerf for sending along the full production model. Check the video below, and I’ll update with my thoughts later today. Check out the photo album in the meantime! 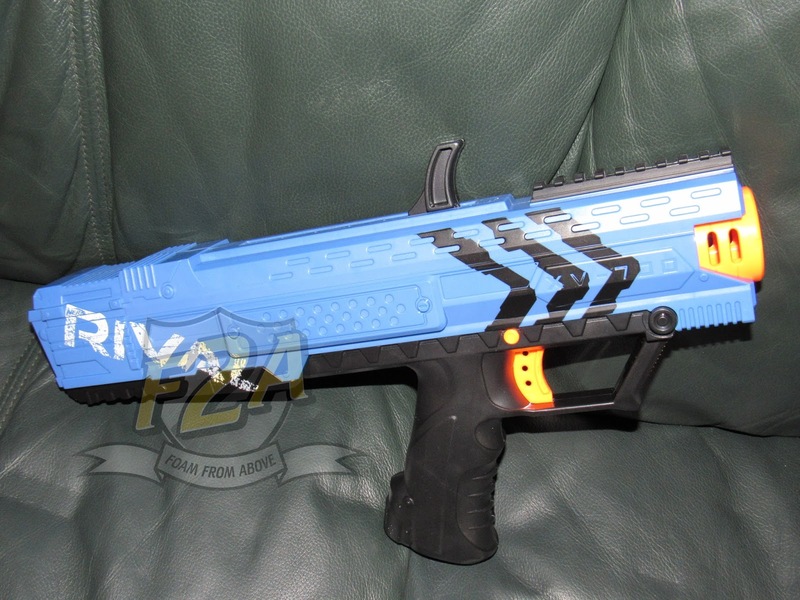 Bring NERF battles to the next level with the mighty NERF RIVAL ZEUS MXV-1200 blaster. Simply push the power-up button, then take aim and unleash motorized blasting power on the opposing team. The powerful, precise RIVAL ZEUS MXV-1200 blaster gives fans and their allies an edge in battle and features an ambidextrous clip loading and release button, safety switch, and fold-up sight. The included NERF RIVAL 12-round magazine is also compatible for use with the NERF RIVAL APOLLO XV-700 blaster, sold separately. Blaster is available in both red and blue and includes 12 NERF RIVAL Foam rounds. Six C batteries required, not included. Available at most major toy retailers nationwide and at HasbroToyShop.com. Perfect for the heat of the competition, the NERF RIVAL APOLLO XV-700 blaster sends NERF RIVAL foam rounds soaring in the air with extraordinary velocity. To defend themselves and teammates against the opposition, pull the lever to move the RIVAL foam round into place, then take aim and launch! Blaster is available in both red and blue includes seven NERF RIVAL foam rounds.